One of the options is the Viper PST Gen II 1-6x24mm reflex and shorter range optic. I really appreciate these lower range optics that provide both reflexive close in shot capability, with short to mid-range accuracy as well. The increase in combination reflex and short-range optics continued to be strong at this year’s SHOT Show, showing a very strong market trend among optic manufacturers. Comes with (1) CR2032 battery and a lens cloth. The new Vortex Viper PST Gen II 1-6×24 rifle scope. The Viper PST scopes are made from aircraft-grade aluminum, with Vortex choosing 30mm tubes to provide much higher light transmission and target image quality over 1-inch tubes. The tubes are Argon gas purged to prevent fogging, and are built to be shockproof from recoil and impact. 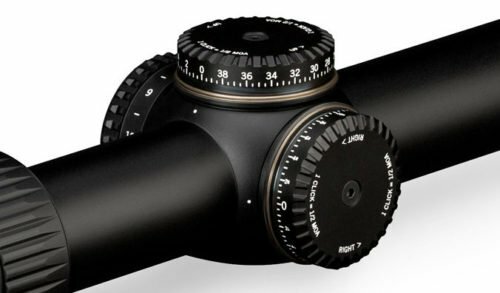 Each scope has a hard-anodized finish in matte black to provide excellent corrosion resistance and glare reduction as well. The Viper PST Gen II 1-6x scope is full of advanced features designed to enhance the most critical components of the scope. The Viper PST Gen II will offer both MOA or MRAD reticles and turrets. Unlike some manufacturers who mix the two, Vortex matches the reticle selection to the turret selection. This way a shooter taking advantage of the MRAD ranging feature, will also benefit from an MRAD turret system. This avoids unnecessary confusion in trying to mix the mathematical equations required to properly make turret adjustments for varied ranged shots. Excellent coatings provide increased light transmission, better target acquisition, and lens protection. Vortex Viper PST Gen II optics are upgraded with XD™, extra-low dispersion, glass that increases resolution and color clarity, producing an outstandingly sharp and crisp target image. The lenses are multi-coated with proprietary XR™ coatings that increase light transmission while producing an anti-reflective surface. This is important to military, law enforcement, or hunters alike as the potential for your location to be compromised by light reflection from your optic is greatly reduced. The Viper PST Gen II lenses also come with ArmorTek coatings providing an ultra-high protection from scratches, oil, and dirt. 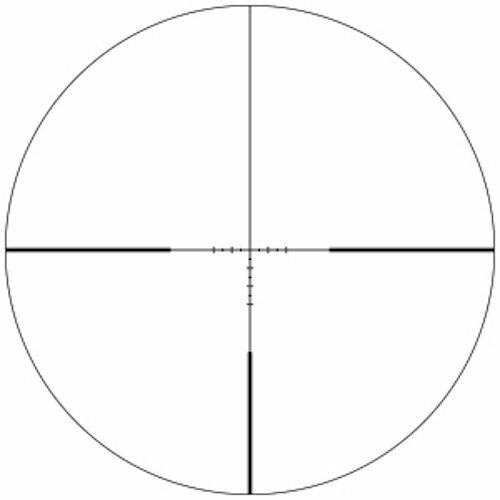 The Vortex VMR-2 MRAD reticle for the PST II 1-6×24 scope. 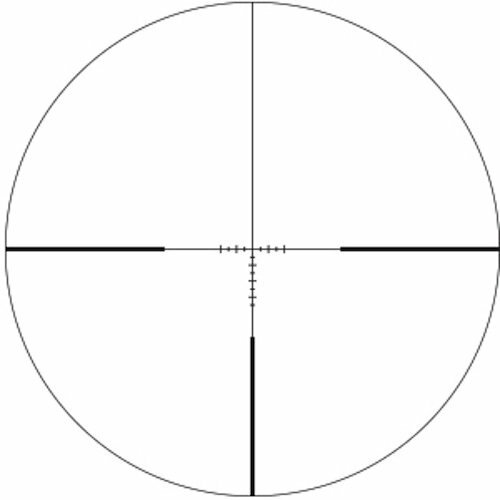 The Vortex VMR-2 MOA reticle has one less hash mark on the bottom crosshair. The Viper PST Gen II 1-6x scope has an illuminated reticle for low-light shooting situations, but I somehow managed to miss the number of illumination settings. In addition, the reticle has an illuminated daylight center dot for easy aiming. The 1-6x magnification range is ideal for AR-15 shooters in a tactical setting, but a great selection for civilian shooters and hunters as well. The true 1x magnification allows shooters a reflexive optic option for close range and dynamic shooting situations. The magnification range out to 6x provides excellent target acquisition for short to mid-range targets, allowing for much greater versatility over a standard red dot scope. Internally, the Viper PST Gen II scopes are built with Precision-Force Spring Systems to strengthen the turret adjustment mechanisms. Heavy use can sometimes weaken the turret mechanisms making the fine adjustments less accurate. The turrets are capped, but the covers can be quickly removed to allow open turret access. In addition, Vortex uses Precision-Glide Erector System to provide the most accurate and confident magnification adjustments as well. Here the turrets are un-capped allowing easy elevation or windage adjustments. 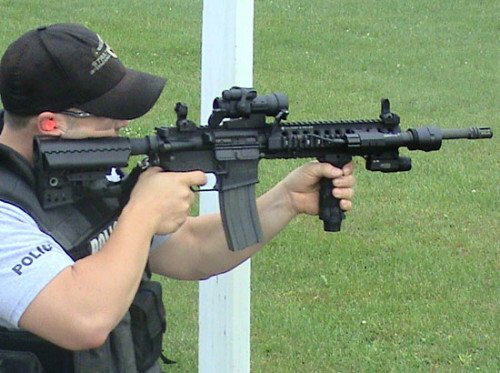 Typically a patrol rifle or SWAT entry rifle are equipped with a 1x red dot or similar reflexive optic. These reflexive optics are outstanding sighting options for up-close and personal encounters, particularly those that are often encountered when conducting building or room searches. The use of patrol rifles have become wide-spread, and good optics are essential. However, both patrol and Entry rifles are often called upon for broader missions than close quarters encounters. When a crisis situation involves an armed barricaded subject, even Entry Team operators may be staged in an armored vehicle or other position of cover dozens of yards away from the target location. The same is true for patrol rifles when an active shooter in an open space is the call, or the officer is holding a perimeter position on a barricade, warrant service, or high risk stop. When the situation requires these longer engagements, having the ability to dial-up the magnification is incredibly important. This is particularly true when more precise shots are required. My Team is in the process of changing out AR-15’s and optics. We used to have EOTech 551, but those N cell batteries tended to die sooner than advertised and were very expensive. Our Entry Team is going to Aimpoint Carbine Pro optics, while our snipers are looking to go to the Vortex PST Gen I 1-4x24mm optics. The new Vortex Viper PST II 1-6×24 scope has a lot to offer. I have really been impressed with Vortex optics. Each year they really up their game and provide both new and enhanced products. The enhanced products always seem to have more than one feature being upgraded, which is really nice. The Viper PST Gen II 1-6x24mm rifle scope appears to be an excellent choice for short to mid-range targets. The light transmission is absolutely great, and the glass quality presents and outstandingly clear and sharp image. I really appreciate Vortex matching the turret selection to the reticle selection. It just doesn’t make sense to mix the two. Though it may not be as noticeable on these lower magnification scopes, it definitely begins to make an effect at middle to long ranges. Overall the new Vortex Viper PST Gen II 1-6x24mm scope appears to be an excellent option. The larger price tag will have to be considered, but the features provided are absolutely worth more. If you are a law enforcement buyer Vortex also offers a very gracious discount to help out. In addition, the Vortex VIP warranty offers a lifetime warranty of repair or replacement regardless of reason.